As the trial of Army intelligence analyst Bradley Manning, responsible for leaking over 700,000 intelligence and government files to the whistleblower website WikiLeaks in an effort to spark public debate on U.S. foreign policy, begins its third day, the "I Am Bradley Manning" campaign is attracting support from thousands of people around the world, including prominent celebrities and journalists here in America. Pentagon Papers whistleblower Daniel Ellsberg; actors Russell Brand, Maggie Gyllenhaal, Peter Sarsgaard, and Wallace Shawn; filmmaker Oliver Stone, Rage Against the Machine guitarist Tom Morello; journalists Chris Hedges and Matt Taibbi are among those featured in a new video (see below) expressing their support for Manning, who faces life imprisonment, as part of the campaign. 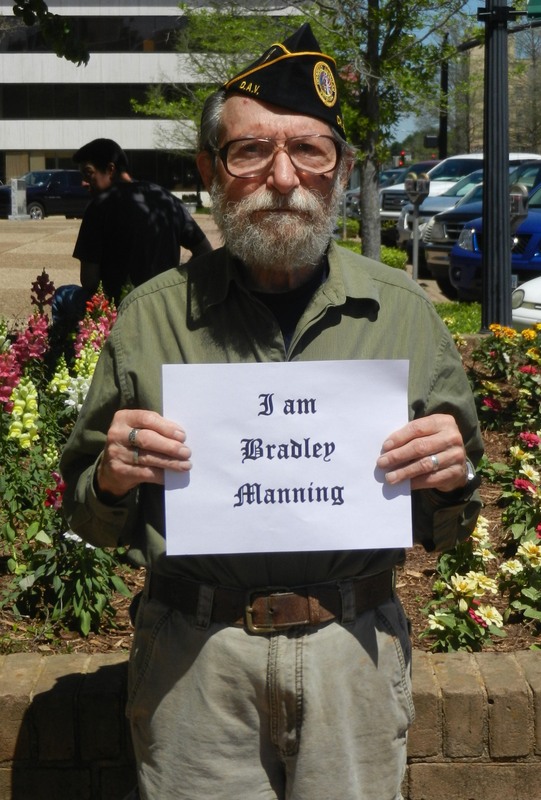 Despite the failure of the Manning case to attract significant public attention in the U.S., there are thousands of people from around the world, and in the U.S., who support Manning&apos;s actions as a patriotic whistleblower, and if you believe in speaking truth to power and having informed public debate about government actions, then you should too. "The information that Bradley gave to the public has been a catalyst for pro-democracy movements in the Arab world, exposed the unjust detainment of innocent people at Guantanamo Bay, shown us the true human cost of our wars in Iraq and Afghanistan, and changed journalism forever. There is no evidence that anyone died as a result of the leaked information, yet Bradley faces life in prison or possibly death. The greatest charge against him is that of “aiding the enemy,” a capital offense. As the public who benefited from this information, does that make us the enemy?" Coombs: At anytime did he say he had no loyalty to America? Coombs: At anytime did he say the American flag didn&apos;t mean anything to him? Coombs: At anytime did he say he wanted to help the enemy? "It&apos;s about a government, obsessed with secrecy, that has prosecuted more whistleblowers than all previous administrations combined. And it&apos;s about wars in which the resistance to, and exposure of, crimes and abuses has been criminalised while the criminals and abusers go free. If Manning is an enemy of the state then so too is truth."